We have over thirty years of design and installation experience so we can offer advice on the feasibility and functionality of all aspects of your design. 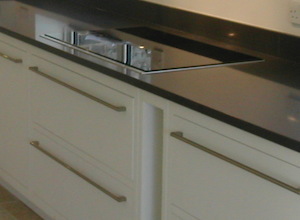 We are able to source and install the highest quality kitchen, no matter what your budget. From simple modernisation of your existing kitchen through to the creation of a contemporary cooking and leisure space - we can use a mix of modern and natural materials to bring your design to life. BM Construction are highly experienced in the specification and installation of granite and the latest stone effect work surfaces. Following the latest legislation, gas and electrical appliances and outlets are installed and certified by our suitably qualified engineers. 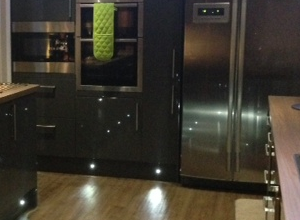 We can install the latest LED strip lighting effects, additional sockets and built in storage space too - even to your existing kitchen. Be assured that we will always work closely alongside you to provide a completely bespoke service working efficiently to minimise disruption. Why not contact us to discuss your project or request a quotation. We will be happy to help.